DRAPER, Utah — March 22, 2018 — Luxul, the leading innovator of IP networking solutions for custom installation professionals, introduced today a new initiative to support its growing dealer base: The Luxul Customer Assurance Program, or CAP. With this new program, the company is providing its dealers with certified wired and wireless network designs for residential and commercial applications — complete with tech support — that are guaranteed to meet their customers’ reliability and performance requirements relating to Wi-Fi. There’s a new standard for network dependability, and that standard is only going to get higher. Today’s integrators are faced with the challenge of installing systems that are expected to work quickly and reliably 100 percent of the time. What end users don’t always realize is that there’s a strong network running behind their system for connectivity purposes. The best networking equipment isn’t the only thing necessary to meet customers’ expectations — a reliable install can make or break a network. Luxul’s Customer Assurance Program is designed to help ease this responsibility for integrators. 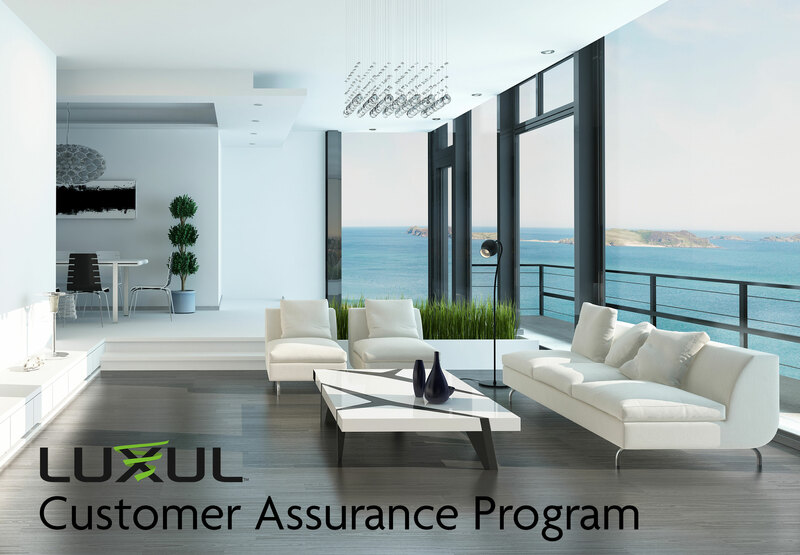 To participate in the Customer Assurance Program, Luxul dealers simply register their projects at www.luxul.com/assurance, where they provide project details and requirements. Based on this input, Luxul engineers will deliver a complete custom network design, including both required and optional equipment along with educational pages meant to make end users aware of things like the importance of a solid network, what remote management and internet content management are and their importance, as well as what interference is and how it can be accounted for in a proper design. Dealers simply install the network based on the design, and complete it with a remote management platform like Domotz. Luxul’s advanced support team is available to dealers requiring assistance configuring their certified networks, while any product experiencing a failure will be promptly replaced. If the wired or wireless network doesn’t perform as expected, Luxul will provide any additional equipment to meet customers’ expectations at no additional cost. More information is available at www.luxul.com/assurance-program.aspx.